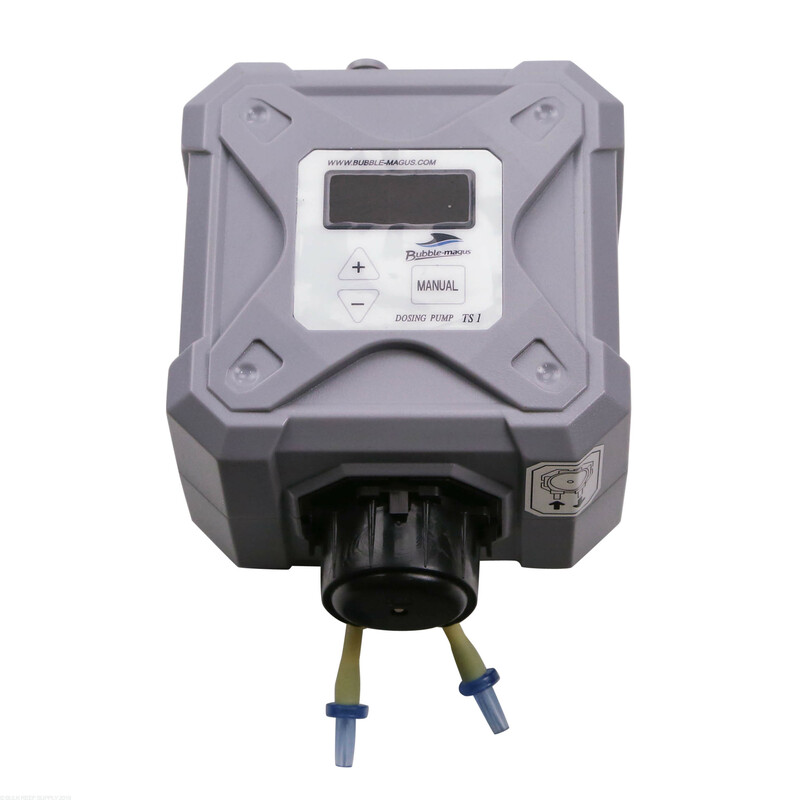 The TS1 Dosing Pump is one of the easiest dosing pumps to use. 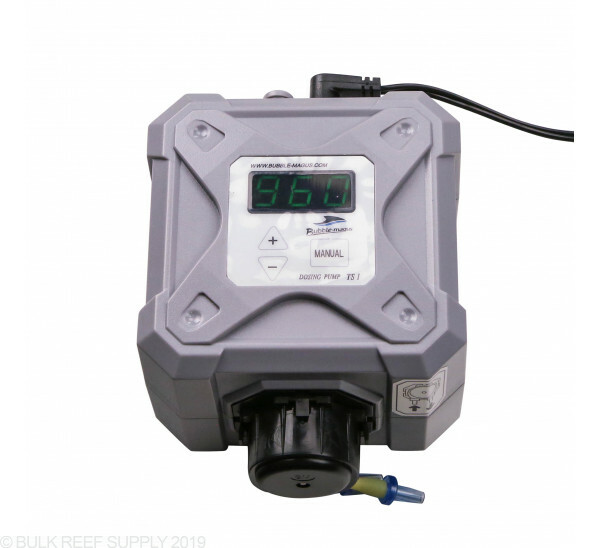 Simply input how many milliliters you need to dose per day, and the dosing pump does the rest of the work for you. 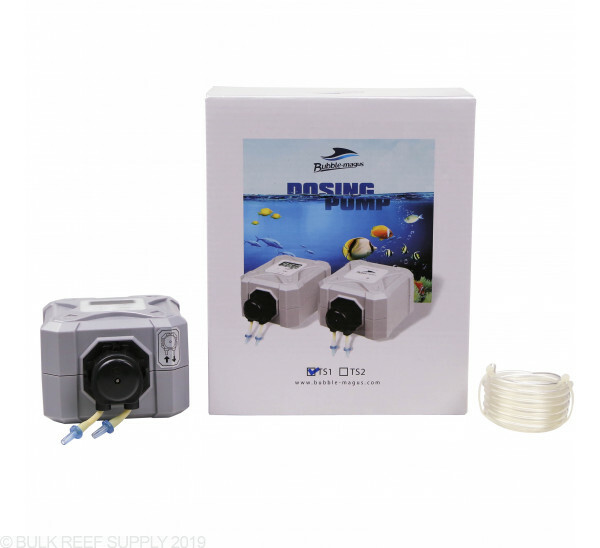 The TS1 and the TS2 dosing pumps can be connected to make the ultimate 2 part dosing system. Below shows how the automatic programming will break down depending on the amount needed to be dosed in 1 day. 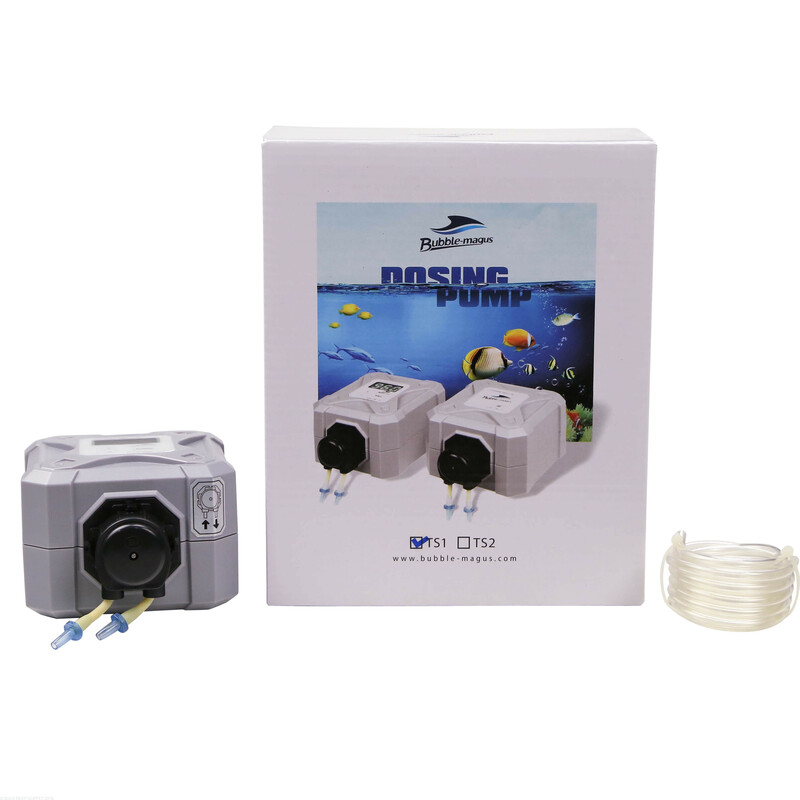 Note: TS2 Dosing Pump sold separately. Really doesn't get much easier, plug it in, tell it how many ml's to dose in 24 hours, connnect tubes (direction is shown on pump), that's it. I'm running only a master. Recently it showed an error on the screen, removed the head part, put it back on, works again and no error. Probably have had this a year, and that is the only issue thus far. I have this running as a master and slave configuration. Master is doing what it should be doing, but the slave is dosing double the amount of the master. My levels are totally unbalanced now. I can’t find how to remedy this anywhere. This is a very simple to use pump. Despite what the previous reviewer says, you don't need instructions to figure it out unless you're not that smart. 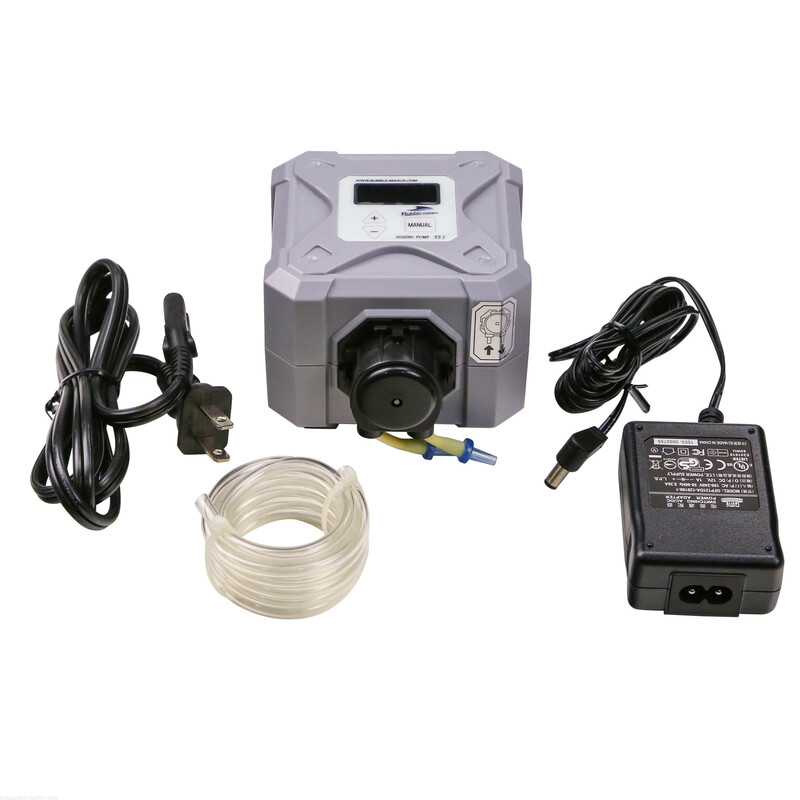 Simple, well made, good price, works great and very dependable. Works as advertised. Not a lot of features but does what it's supposed to. I figured out my alk consumption. Dialed that number into the doser. Held the manual button to prime the pump. Done!! Been working great for the past 6 months. When you need to change your dosing amount you just set your daily dose amount and that's it. Do not buy this. The directions were translated so poorly that you will not be able to use this pump. The pump is impossible to figure out. There are no directions on youtube either. Buy a different pump. I'm confused by the dosing chart. For instance "24-35ml dose - 4 times per day". How would I program this unit to dose exactly 25ml per day for example? The number of dosages is split by the amount you are adding. For example you will set the system to dose exactly 25 mL. Since the 25 mL falls in the 4 times per day section it will automatically spread the dose over a 4 dose period throughout the day, or 6.25 mL four times per day. Feel free to let us know if you have any further questions! Are these brand new on the market? I don't see much info on these. These are a new pump to the market! Feel free to let us know if you have any further questions! 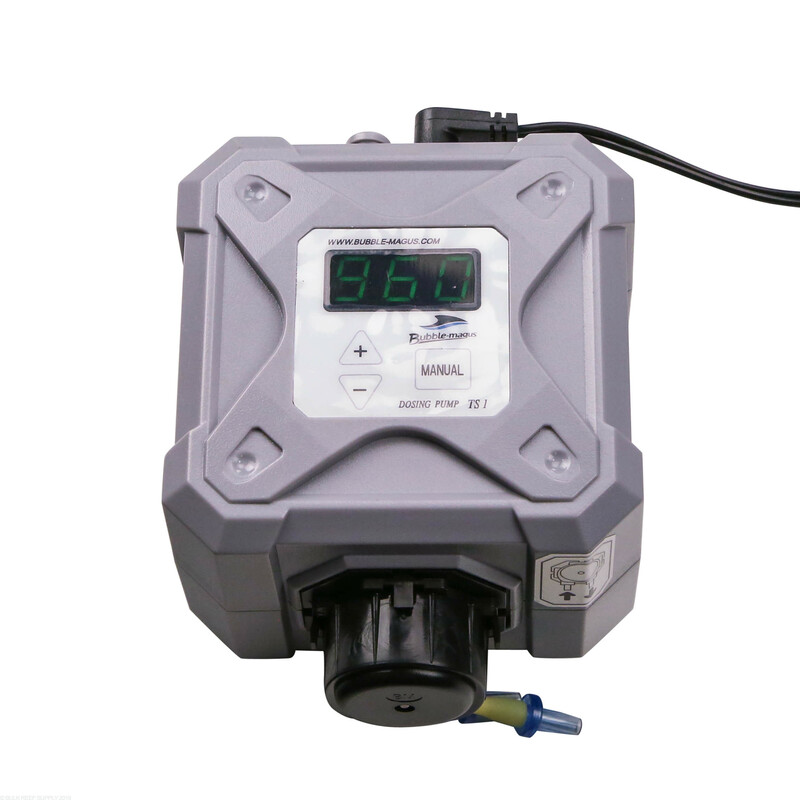 Each of the pump heads on the unit (mast and slave) can be set for independent dosing intervals. Hi...just got these from you guys. Once I connect it, when does the clock start? would it dose the day I connect or does it need to wait 24hrs before the 1st dose in introduced? This will begin dosing the moment the program and clock is started. Feel free to let us know if you have any further questions! 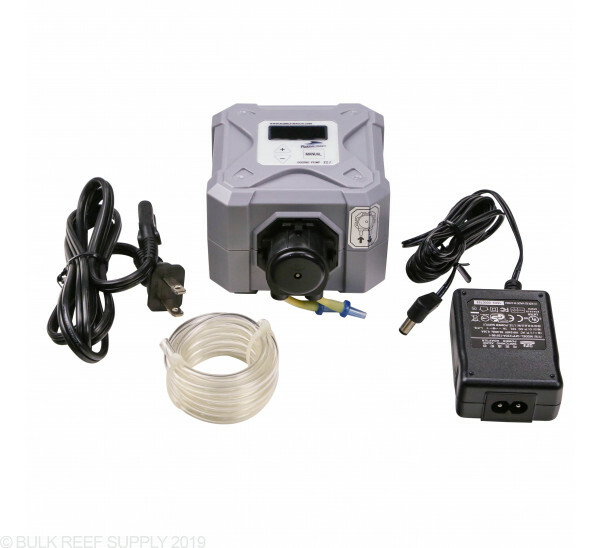 I don't have a sump, but want to setup a dosing system. Will this work underneath the tank? Or do I need to set this above the tank? And where is the best place to have the container? 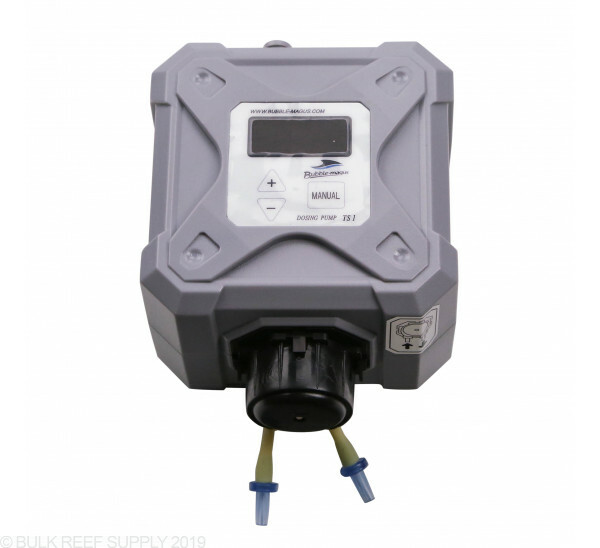 This can easily be mounted in the stand and pump up to the tank in a high flow area. The container can be placed anywhere below the tank in most cases right in the stand. I am dosing Red Sea Nopox at 4ml a day. Do I set the doser to 4, prime the tubing and wait? What time of day will the doser administer the dosage? Thanks! From running the unit we find the dosage will begin shortly after install of the unit within the next period of time after set up is complete. Feel free to let us know if you have any further questions!